Just like butterflies, I honestly don’t know much about dragonflies. They look cool, they don’t bite people except maybe if you are handling them, and this past Sunday one was flying around, trying to catch and eat the deerflies that were trying to eat me and my fellow birders. Here is the coolest picture I’ve ever taken of one creature eating another creature. So, anyway, I think dragonflies are pretty neat, especially when they are protecting me from the painful bites of deerflies. They also make for good photographic subjects. And they come in so many varieties (over 300 can be found north of Mexico)! Clubtails, darners and skimmers are just a few of the families of the order Odonata, which is comprised of both dragonflies and damselflies. 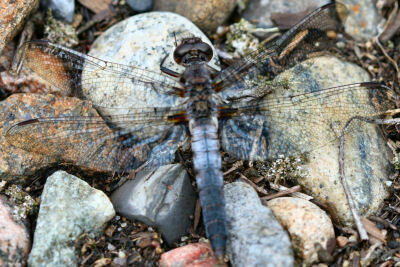 Individual species often have evocative names like Ebony Boghaunter or Dragonhunter. Really, what’s not to like about dragonflies? Well, the question I posed above might appear to be rhetorical, but I’m going to answer it. Dragonflies are way too freaking difficult to identify! 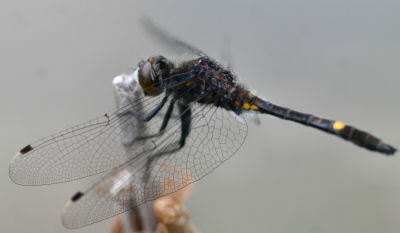 The picture above and the one below are of the same dragonfly. I think it is a skimmer of some kind. But exactly what species is it? I have no idea. I do know, however, that contrary to Swedish legend, no trolls are going to use it as a spindle while making their clothes. And, despite The Boy Who Made Dragonfly: A Zuni Myth, I don’t believe this dragonfly is made of corn and I definitely don’t think it’s a messenger between children and the gods. The dragonfly below, I am reasonably certain, is a Frosted Whiteface (Leucorrhinia frigida), but I won’t give you a full view so you can’t prove me wrong! And I am absolutely certain that this is the most common of the seven species in the genus Leucorrhinia, a Dot-tailed Whiteface (Leucorrhinia intacta). 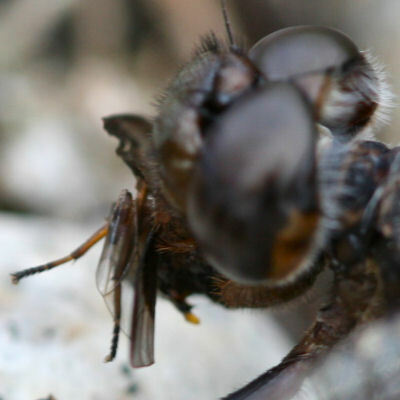 So why are dragonflies our natural allies? Besides their dietary habits they are a serious identification challenge and figuring them out is an interesting, though frustrating, way to spend that middle part of the day when the birds are quiet and inactive. And, you never know…maybe one will carry a message for you someday. Dragon flys are so cool! 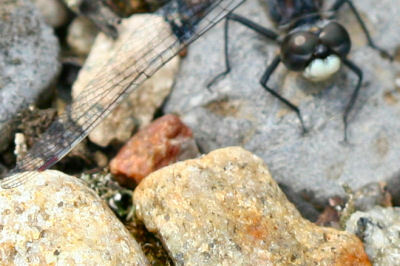 Your dragonfly looks like a Chalk-fronted Corporal. It is a skimmer indeed. That first pic is wild. Last year I was photographing loons and I had several dragonflies land on me (nothing unusual), but a deer fly buzzed me, one of the dragonflies took off, caught the fly, brought it back, and proceeded to eat it on my shoulder. That was so neat. Dragonflies are hard but then again that is why we love them soo much! There is nothing better than bug death and decapitation. Thank you for documenting this, Corey. @Liza Lee: I’ve seen a similar one recently. Any idea what it is? @Patrick: Thanks for the ID. @Bob: Could you hear the fly crunching? @Marcella: Better than the Turkey Vulture Snack?